How did Maximus join our family? In 2007, on a summer day, our children Nidhi and Nikhil approached Marina with an unusual request that they wanted another sibling. They promised that they would take care of the newborn baby and also that they would bring up the baby. Marina explained that it was a pretty difficult proposition as she had her tubes tied on delivery of Nikhil. She explained that it would be very difficult for someone to mother a child at her late age and may lead to complications, both for the mother and child. The children said that in that case we should go in for an adoption. They wanted a sibling at any cost. I realised that there was something more to this strange request as the very subject had come up for discussion during the family dinner a year back and was then dismissed for the same reasons. Now it was my turn and I asked them as to what they really wanted. Out came the new proposal! “We want a dog”. Marina and I never before had a dog while we were with the Indian Army, where all the help was available to rear one. Unlike many officers in our Regiment who had a dog or two, we did not choose to have one. I was of the opinion that it would be difficult to take care of a dog as it has to be reared indoors because of the severe Canadian winter. Further, having a dog meant taking it out on a walk, irrespective of the weather and cleaning up the poop would add to our routine chores. Marina, a hygiene freak, did not like the idea of a dog shedding its hair all over the house. The children had ready answers to resolve our concerns. Nikhil would take the dog out on a walk, vacuum clean the house and clean the poop in the morning before going to school. Nidhi would do the same in the evenings after she returned from the university. They both agreed to sleep with the dog in the family room and train him to use the doggy-door to exit the house for defecating and urinating. They had also zeroed in on the breed and the breeder from whom we could obtain a black Labrador pup for $750. The eagerness, enthusiasm and power of their pleas was overpowering. Both of us had to relent and we agreed to pick up the pup during the weekend. We drove to a village near Windsor, about 350 km, where the breeder lived and picked up a pup. The children had already thought of a name and christened him Maximus Koduvath, after the hero of the movie Gladiator. My mind wandered off to our childhood when my younger brother, the youngest in the family, aged four, had then come up with a similar request. He wanted someone younger to him. It was all because he was at the losing end of all the physical fights we siblings had. At the time our parents solved the problem by getting him a kid – a goat’s kid. The children trained the dog, took him out on the walks and kept the house spotlessly clean, for all of one month and gave up steadily thereafter as they had to commit more time to their studies and extra-curricular activities. Now the dog became mine and I had to do all these, with a bit help from the children. The morning and evening walk became a ritual for me – come rain, hail or high-water. I started enjoying my responsibility as the days passed by and Maximus became more and more attached to me. I couldn’t fathom how strong the emotional bond was until I went to India for three weeks, Maximus refused to eat as I was not there to feed him. After two days there was an SOS message from the children about Maximus being on a fast unto death. I now called up home and the call was put on the speaker-phone. I told Maximus to go and eat. Maximus was bewildered that he could hear my voice but not see me. Poor Maximus was obviously unaware of the technological leap that mankind had taken. After circling around the house a few times and not finding me, he again came to the phone. Now I repeated my order and Maximus went to his cage to eat his food. Taking care of Maximus, I too got attached to him. It seemed he could understand me in which ever language I spoke, be it English, Malayalam, Hindi or Tamil. I observed him closely and he was indeed an inspiration for me to write a few blog-posts – Crossing the Highway; Dogs and the Fire Hydrants; First, Middle and Last Name; Adaptation and Pet Emergency. Thus Maximus became my best friend. It was Frederick II, King of Prussia, who coined the statement that the dog is man’s best friend. The saying was popularised by Ogden Nash in his poem titled ‘The Dog’. In the Hindu epic Mahabharata, the Pandavas along with their wife Draupadi after renouncing their Kingdom, began their journey to the heavens through the Himalayas. Yudhisthira, the eldest of the Pandavas led the way. At the start of the journey, a dog befriends them and keeps them company throughout. During the journey, one by one, they fall to their deaths – the first was Draupadi, followed by Sahadeva, Nakula, Arjuna and Bhima. 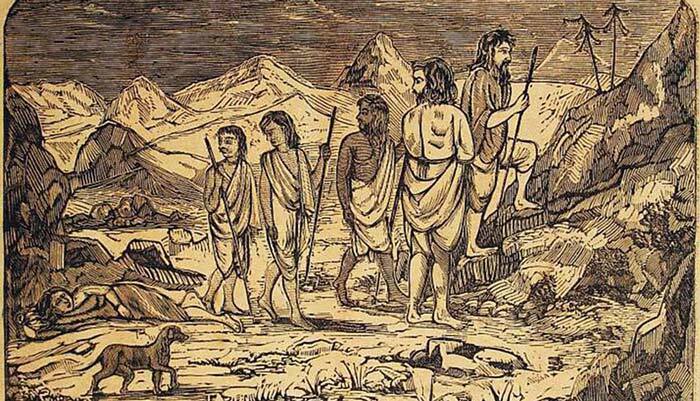 Yudhishthira continued his journey and all this while, the dog kept him company. Just before it was time to ascend to the heavens, Indra, the God of Heaven said that only he, Yudhishthira, could enter the heavens and not the dog. Yudhisthira was adamant that he would not leave his faithful companion behind and enter heaven and sat down at the gate. He now turned and found that the dog transformed back into its real shape- the God Dharma. Scientists have proved that dogs use similar brain mechanisms to humans to process social information. 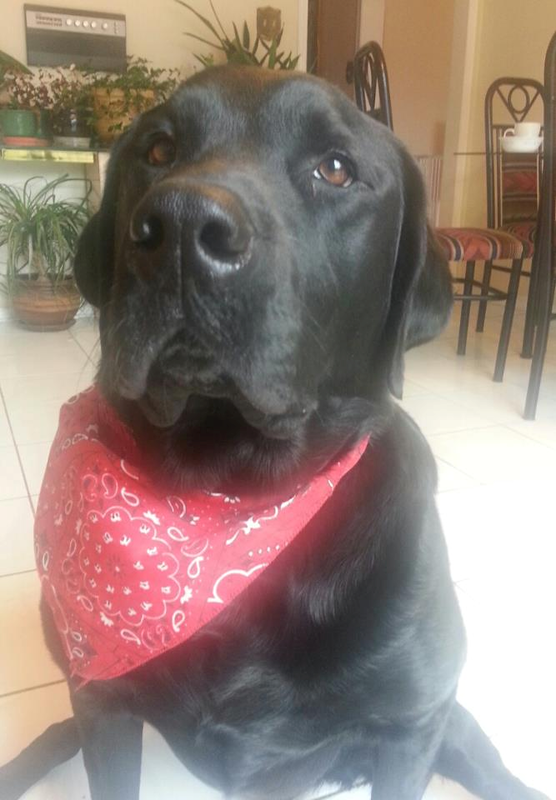 They also found that canines’ brains are sensitive to acoustic cues of emotion, like us. Researchers also found that when humans and dogs look into each other’s eyes, they experience a surge of oxytocin, the hormone associated with trust and love that is released. This could be responsible for the bonding humans enjoy with dogs. Humans in general, demand more love than they give. This behaviour lies at the root of most inter personal conflicts. If only we humans have the capacity for unconditional love that dogs do! The world would be so much a better place!